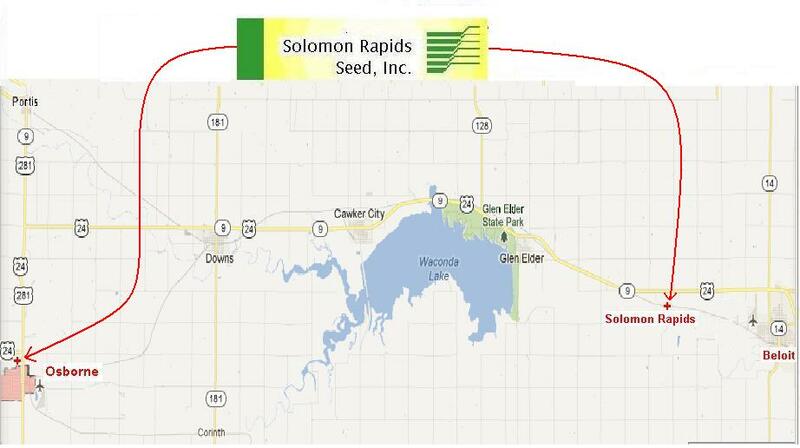 Now serving area farmers from two locations, Solomon Rapids Seed Inc. is located 4 miles west and ½ mile south of Jct. 14/24 Highway in Beloit, Kansas in the heart of the beautiful Solomon Valley, and from our state-of-the-art facility at the Jct. of Highways 24 and 281 in Osborne, Kansas.